Mayor Reed (center) with veterans who are housed through city program "Unsheltered No More." 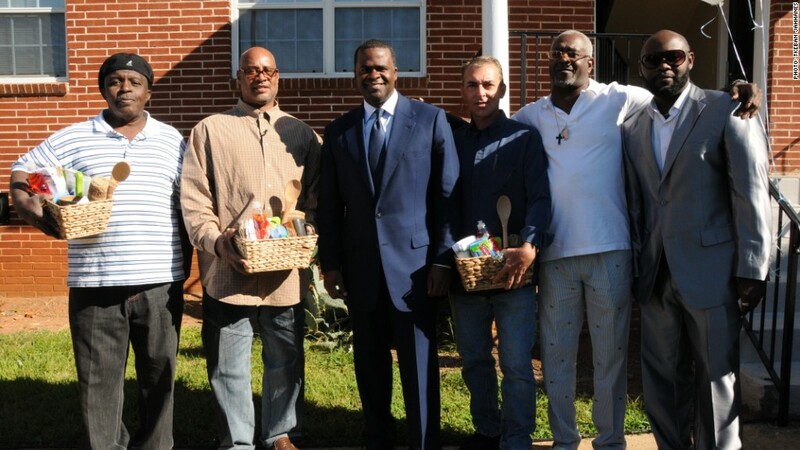 Here, Atlanta Mayor Kasim Reed discusses what the grant meant for his city. One of my favorite African proverbs reads, "If you want to go fast, go alone; if you want to go far, go with others." In the city of Atlanta, we are using innovation to build partnerships across City Hall, local communities, and the private sector to solve our city's most difficult issues. And we're seeing results. By necessity, city halls dedicate much of their time to day-to-day operations. It can sometimes be hard to find the bandwidth to step back and solve problems holistically, but Atlanta's Innovation Delivery Team -- one of five pilot teams funded by Bloomberg Philanthropies -- is helping us do just that. Atlanta's innovation team brought this unique approach to two of my top priorities: homelessness and customer service. Partnering with multiple government agencies and community stakeholders, the team helped create solutions to substantially reduce the number of homeless in Atlanta, and revolutionize how city residents access information. You will be hard-pressed to find an issue that touches more agencies than homelessness. Housing, health and human services, criminal justice, veteran's affairs, education and more come into play. Any effective solution requires a dizzying amount of coordination. Just focusing on each agency, as city government often does, causes us to miss genuine opportunities for more impactful solutions. In 2011, Atlanta had approximately 4,400 people who were homeless or in emergency shelters. In January 2012, the innovation team began developing a plan to lower this number. The team studied data from city departments and outside organizations that shed light on the mounting public costs associated with homelessness. This included over $2 million in costs to the city's police department and detention center for misdemeanor arrests and jail stays, and over $61 million in costs to a single local hospital for homeless ER visits and inpatient stays. The team also found that Atlanta's homeless services were spread across more than 100 programs, each with their own target populations and criteria for service. With no forum for setting common goals, the city was unable to channel money and efforts into a comprehensive strategy. Using this information, the innovation team launched Unsheltered No More, a collective action campaign with over 51 partners to house 800 homeless by December 2013. By December 2013, the campaign had exceeded its goal, housing 1,022 persons. In addition, the team worked to enact policies and set up a nonprofit dedicated to resource distribution to ensure these efforts are sustained and built upon. And starting in 2014, every provider who applied for federal funding through the city was required to participate in a coordinated intake and assessment process. The fragmented process that plagued Atlanta's efforts to address homelessness also impacted customer service. The city had over 170 different services numbers in use, and finding information was often laborious and difficult for residents. Working hand-in-hand with city departments, the Innovation Delivery Team analyzed national best practices, determined the services most in need of improvement, and helped establish ownership, accountability, and performance metrics inside City Hall. This led to the formation of a new non-emergency line for Atlanta residents: ATL311. 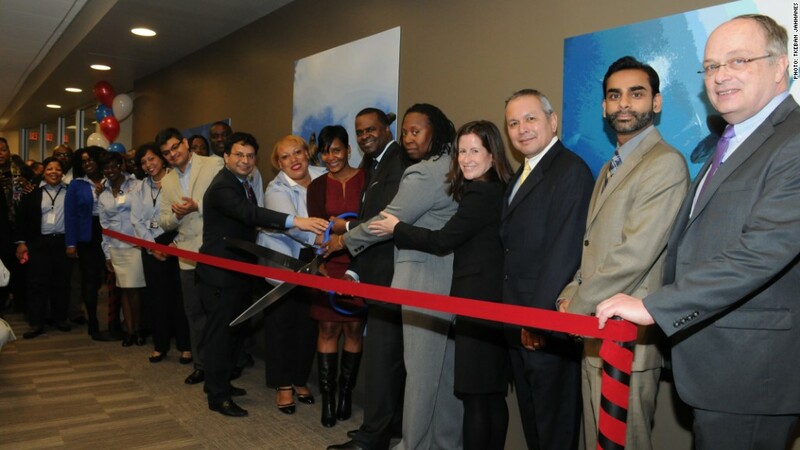 Mayor Kasim Reed opens Atlanta's first 311 system. ATL311 is one of the country's first live 311 systems hosted on the cloud, so users can access their request history online. The process is streamlined, callers can quickly navigate the system to have their questions answered, and efficiency has improved. Prior to ATL311, the average call wait time was 120 seconds. Now, the wait time is an average of 20 seconds, bringing the city in line with the national average. Most important, ATL311 frees government workers to focus on their core competency while knowing that initial customer service requests will be handled efficiently. In the case of Atlanta's Department of Watershed Management -- the agency with the highest call volume -- this means fewer wasted resources and quicker response times. Together, we are building a community of innovation in Atlanta and transforming into a smarter, more connected city. Atlanta's Innovation Delivery team is critical to this effort, and we've dedicated public funding to extend its mandate into the future. As a result, Atlanta is poised to remain at the forefront of discovery and innovation for many years to come. This is part of an exclusive series from CNNMoney, featuring op-eds from mayors who received grants from Bloomberg Philanthropies in 2011: Memphis' A C Wharton, New Orleans' Mitch Landrieu, Louisville's Greg Fischer and Chicago's Rahm Emanuel.